Submitted by PMcCool on February 22, 2015 – 10:04am. 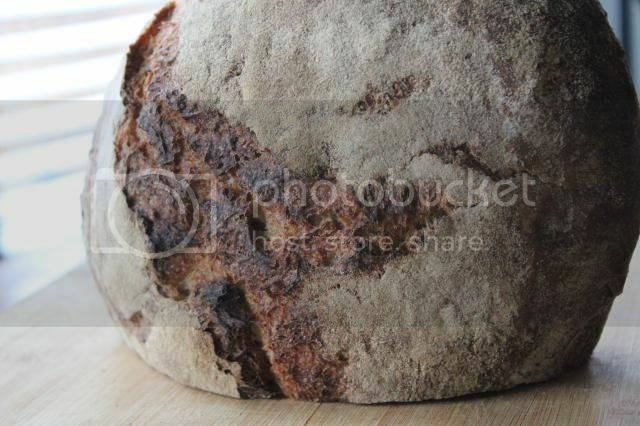 One of my Christmas presents last year was Flour Water Salt Yeast by Ken Forkish. While I’ve wanted to get beyond just reading the book and starting to bake from it, life has kept me well supplied with other things to do. There was the completion of the rye bread test bakes for Stan Ginsberg’s upcoming book, a vacation to San Diego, a freezer well-stocked with bread that needed to be eaten before more was baked, test bakes of hot cross buns and Easter bread and salt sticks for some upcoming classes, and, well, you get the picture. This weekend, stuffed head and hacking cough notwithstanding, I determined to try one of the breads. The Field Blend #2 sounded most appealing, given its complement of whole grain flours. Because of the aforementioned cold, my preference was for something closer to a straight dough approach, leading to the decision to ferment one loaf at room temperature (about 69F) and the other in my B&T proofer at 75F. The rationale was that the loaf in the proofer would ferment faster, allowing me to bake the first loaf (I have a single Dutch Oven) while the second loaf proofed more slowly at room temperature. It seemed like a good idea at the time, anyway. As is often the case, real life did not conform well to my theory about real life. For reasons beyond my ken, the room temperature loaf was ready to bake at the point the proofer loaf was about 3/4 ready. So, it went into the oven first. It sprang beautifully, as I saw when removing the the lid 30 minutes later. And it colored up nicely after being exposed to the direct heat of the oven, too. The crust was thin and shatteringly crisp. After being in a plastic bag overnight, that has changed to a rather chewy texture. The crumb is very moist and rather more even in texture than I anticipated. That is in no way a complaint, since much of this bread will be consumed in the form of sandwiches. 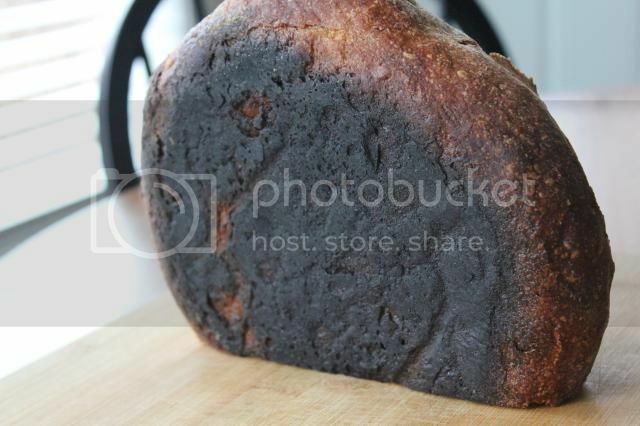 The one major disappointment is that the bottom of the loaf charred rather badly. That was a complete surprise, since the DO was at the same level in the oven as I typically use for the baking stone, which has never produced any charring effect. There may be enough head space to move the rack up one position in the oven but then I would be concerned about having adequate air movement around the DO after removing the lid. After taking out the first loaf and assessing the results, I chose to drop the temperature from the recommended 475F to 460F for the second loaf. That produced better results for the bottom of the loaf. The bad news is that the second loaf was past its optimal proof. While it regained much of the volume lost in its initial sag after being removed from the banneton, it didn’t show any additional spring. It’s still a reasonably good looking loaf but it could definitely be better. Baking foibles aside, this is a very good bread. 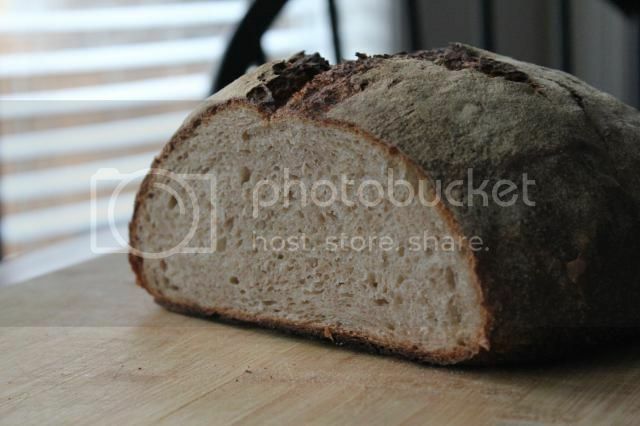 I enjoy the graininess that the whole wheat and whole rye flour flours bring to the table, along with the mild acidity. 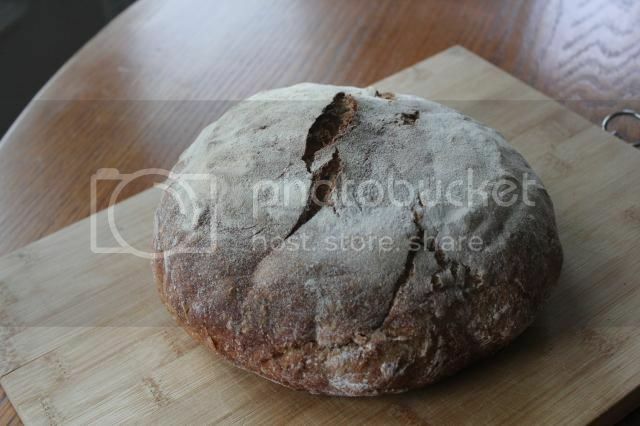 The crumb is very moist even though thoroughly baked and feels cool and creamy in the mouth. The unscorched crust provides a range of flavor notes from the caramelization and Maillard reactions. It is good stuff, all around. And, mind you, without whatever additional flavors would have developed during a longer, cold, retarded fermentation. That cold fermentation would also have given me a wider window for baking the two loaves in series, had I used it. At this stage, I’d have to say that I’m not a devotee of of DO baking. The additional risks and challenges that it imposes are, in my personal estimation, not worth the rather ephemeral benefits (primarily the thinness and crispness of the crust) it provides. It may be that if I had a gas oven and struggled to keep steam in it, my assessment would be different. As it is, I know that I can get equally good, if not identical, results by baking on a stone while keeping steam in the oven. The whole scorching thing has me scratching my head. That has never been a problem for me with my usual setup in the same oven, even when baking at temperatures above 500F. 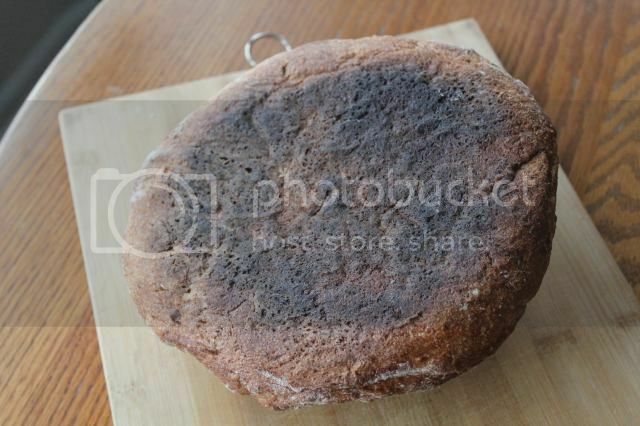 My next bake from the book will utilize my normal stone and steam approach, rather than a DO. « No Love for Kitchenaid mixers?